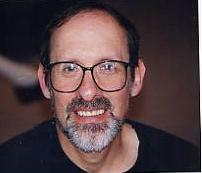 Dr. Barry E. Jacobs is a Research Computer Scientist, National Space Science Data Center, NASA/Goddard Space Flight Center. Dr. Jacobs has two main responsibilities. First, he develops generic methodologies for the paperless documentation and management of complex distributed processes (e.g., Grants and Contracts Management). Second, he applies the methodologies to NASA and Non-NASA applications. Dr. Jacobs has applied EHBs to NASA's Small Business Innovation Research (SBIR) Program, Earth Sciences Technology Office (ESTO) Program, Education Division Computer Aided Tracking System (EDCATS), and Policies and Procedures (Directives). Dr. Jacobs has also applied EHBs to the Department of Justice's Bulletproof Vests Partnership (BVP) Program, Department of Justice's Local Law Enforcement Block Grants (LLEBG) Program, Department of Justice's Office of State and Local Domestic Preparedness Support (OSLDPS) Program, Federal Emergency Management Administration's US Fire Administration (USFA) Firefighters Grant Program, Treasury Department's Community Development Financial Institutions (CDFI) Program, Department of Health and Human Service's Health Resources and Services Administration (HRSA), Department of Interior's Property Disposal, and the Federal Financial Assistance Management Improvement (FFAMI) project. His work on the Department of Justice's Bulletproof Vests Partnership (BVP) Program has earned him the Federation of Government Information Processing Council (FGIPC) Intergovernmental Open Systems Solutions (IOSS) Gold Award. Dr. Jacobs was educated at Brooklyn College of the City University of New York and the Courant Institute of Mathematical Sciences at New York University.